IDIL Fibres Optiques proposes a wide range of fiber optic cables. 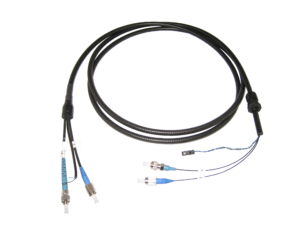 Multi fiber, reinforced and breakout cables are available among others. 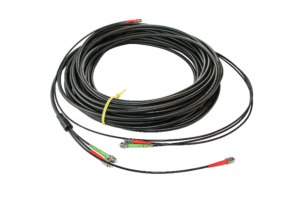 The company has also a great know-how as regards connectorization of fiber optic cables. 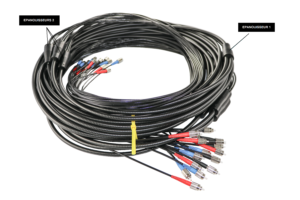 IDIL Fibres Optiques regularly provides specific fiber optic cables with different fiber types, number, connectors and hybrid optic electronics. Our fiber cables come with individual final test. Please contact our engineers to discuss about the possibilities. An optical fiber cable is a cable containing from one to hundreds of fibers Inside. IDIL Fibres Optiques offers different types of connector polishing; FLAT, PC, UPC, APC and specific coatings such as mirror coating. Do not hesitate to contact the company in order to get customized solutions, for small and large scale quantities.